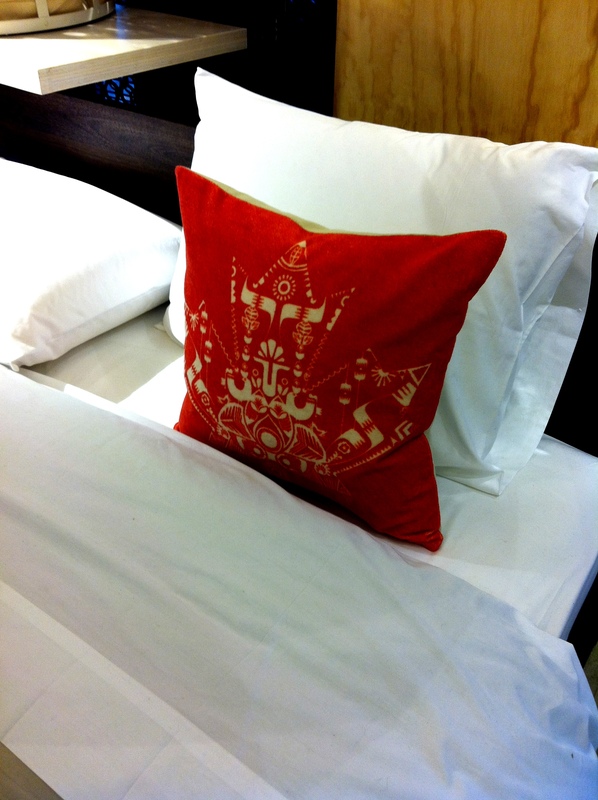 A word of warning…if you could care less about shopping or interior design feel free to breeze on past this post. The only thing more embarrassing than a failed attempt at capturing the hearts and minds of young people (or, more specifically, hipsters) is when it totally works. When your advanced liberal arts degree makes you completely aware of the marketing ploys being used to capture your attention, but you still can’t help becoming obsessed with it? Like how I felt about that movie Garden State back when I was in college, or Miranda July movies now. American Apparel Henleys. The New Yorker App for Ipads. Fjällräven Backpacks. Portlandia. Jason Schwartzman…just generally. 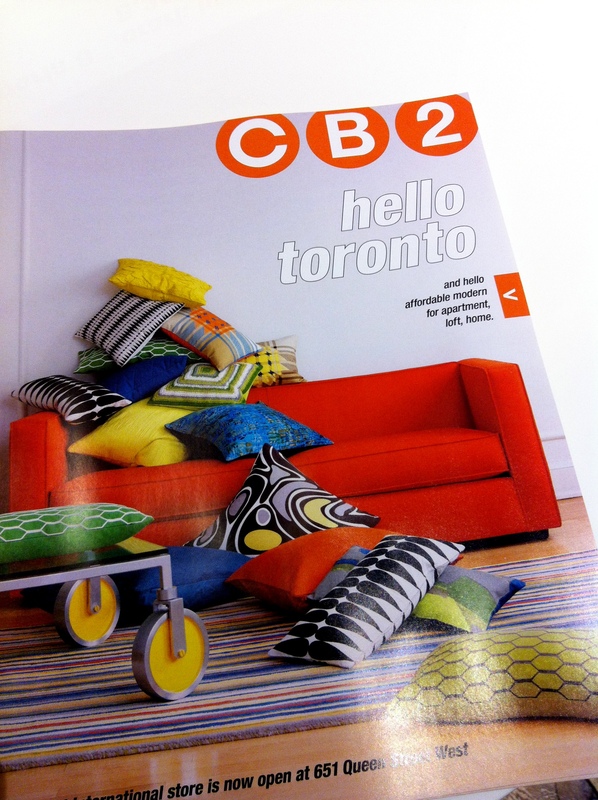 Well this afternoon I had the opportunity to check out CB2, the DJ-on-the-weekends-but-mostly-just-freelancing younger brother store of the Crate & Barrel franchise and the newest addition to Toronto’s Queen St. West neighborhood. The building was recently converted from a dirty bar we used to call The Big Bop. Suffice it to say this store had my number. 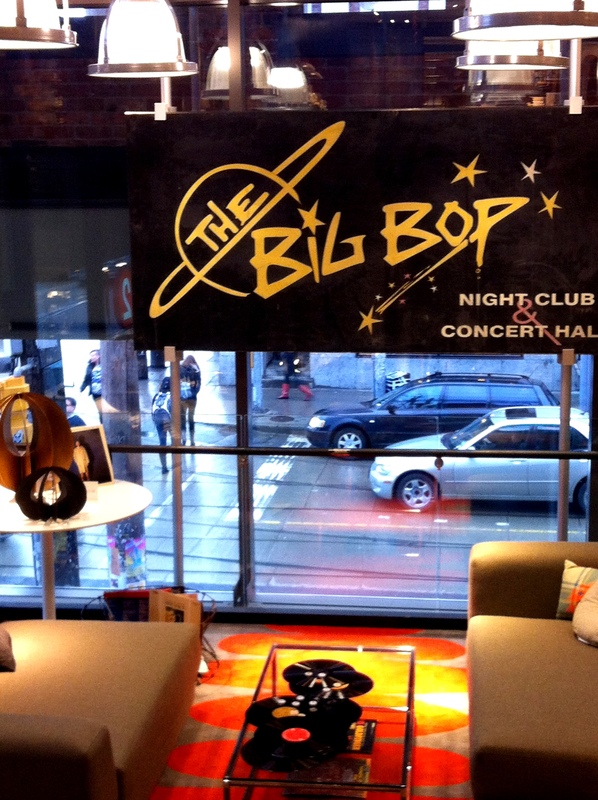 That’s right, they preserved the original Big Bop sign and displayed it in-store. Canadiana, Sports & Mountie Themed. Needless to say I’ll be returning to this place as soon as I have the money/time/space/patience to redecorate. So basically when I’m in my 30s and no longer find this stuff cute. Siggggh. Does interior design make you drool or do you still store your records and clothes in milkcrates? Are there any products/marketing campaigns you hate to buy into…but just can’t resist? The only thing that kept me from turning into the poster child for over-marketed, badly conceived trends in my early twenties is that I live in a backwater city without an Urban Outfitters or any of those other delightful credit-score ruiners. I thank the gods of character development that the only place to get interesting stuff in Halifax is at the thrift store… but I still really really really want a Fjällräven backpack. You’re only human. I wish you could see all the hipster children in my neighborhood who walk around wearing mini wayfarers and those backpacks. Then you can overhear them talking about their gluten allergies and complaining about the transit strike. 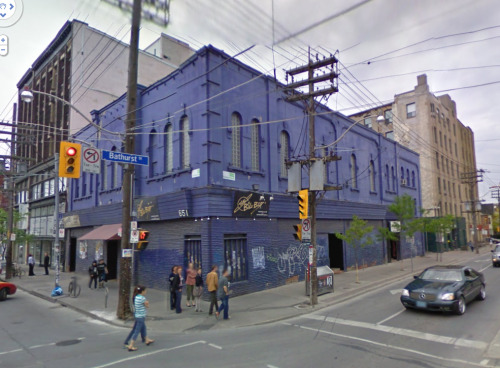 Haha wow, that building sure looks different without the purple paint!! 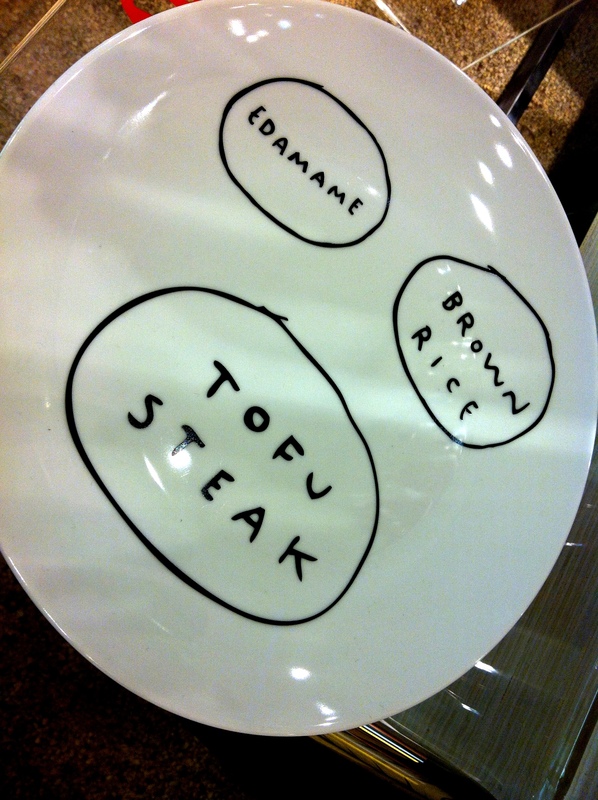 I do love the vegan plates but lately I’m more drawn to simple things. I do love me a good mug with a bird on it, though! I hear ya, when it comes to my own kitchen I usually opt for more minimalist decor. And yes there were SO many birds on SO many things at CB2. 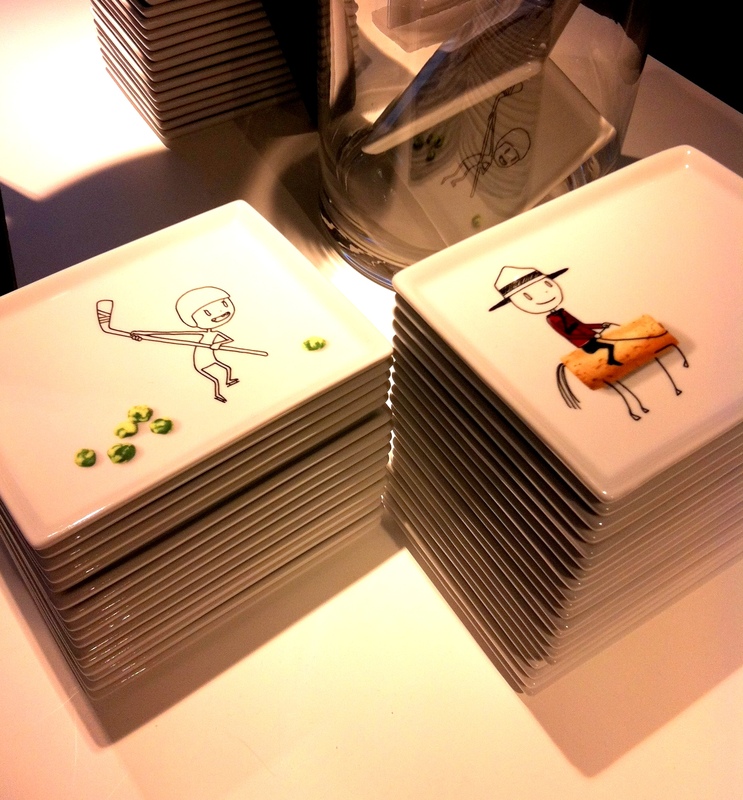 Plus a lot of melamine and neon.